Roles: FPSPI Mart, Shipment of Orders, Promotional Materials, IC Prep, Assist Admin Director with Invoices and Payments. Arlette is new to FPSPI joining the team in April 2018. 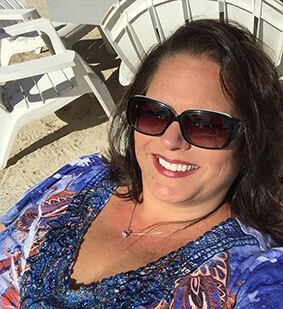 She has been an Administrative Bookkeeping Assistant in Florida for over 15 years and is continuing her Administrative Bookkeeping Assistant career with FPSPI along with adding to her many talents. Arlette is a take charge kind of person who is always there to help get things done. She decided 26 years ago to move from the cold snow of Cape Cod, Massachusetts to the warm sunny beaches of Florida. She loves to travel and makes new friends everywhere she goes. In Arlette’s spare time she enjoys spending time with her family at the beach and watching football. She is a huge football fan and somehow keeps the peace in her house while she cheers on the Dallas Cowboys, husband cheers on the Miami Dolphins, and her son cheers for the New England Patriots. Arlette is a wine connoisseur, loves cooking, and baking. Always trying new recipes to share with friends and family.